It's good... buuut, wow, this arbitrary player substitution is crazy contrivance. 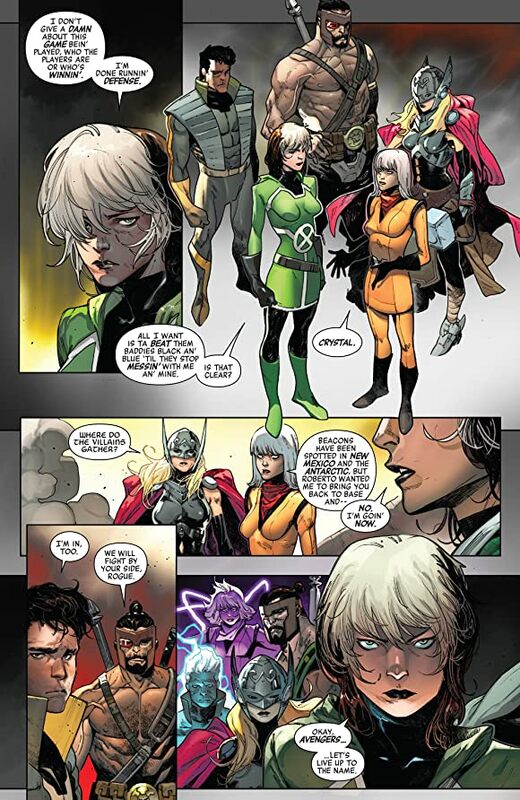 And Simon leaving mid-battle for personal reason/decision and coincidentally is perfect guinea pig to try and help Jarvis' still strange condition is crazy contrivance. And Voyagers on again off again rest again -power capability reset each issue- is crazy contrivance. 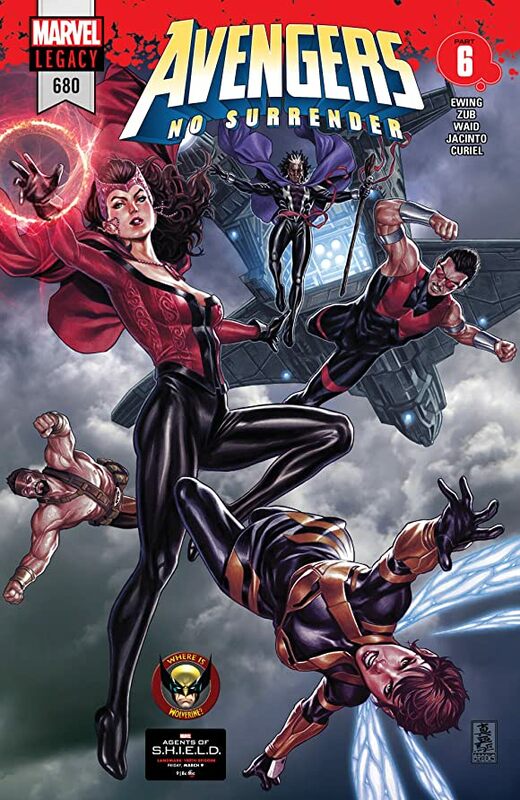 The cover felt generic poser compared to the last issue one. 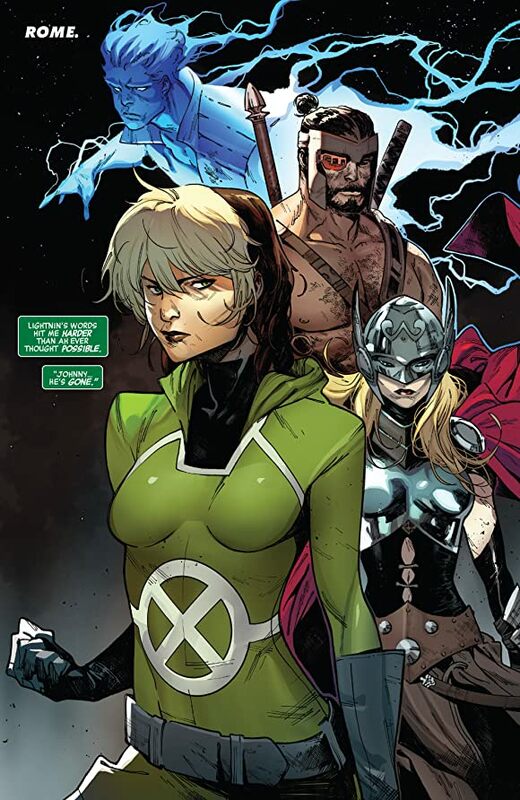 The repeated vague and clueless epilogue page (with APPARENTLY The Hulk returning) was just a repeat of last ish. 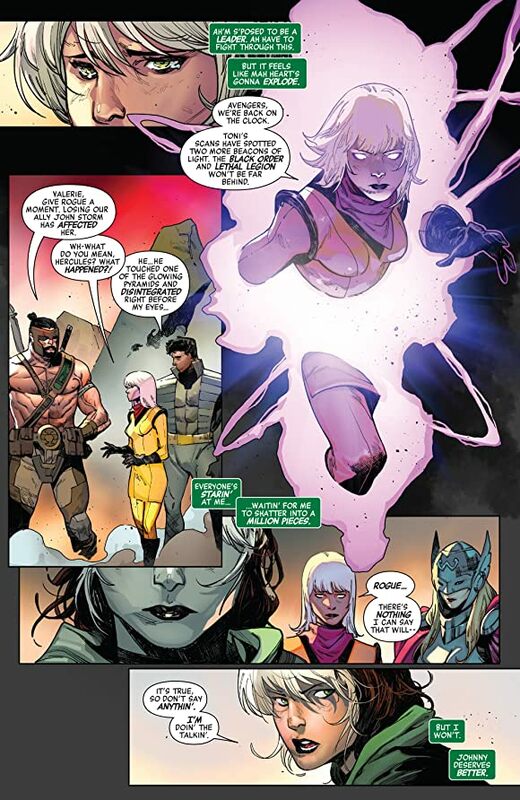 The bonus page theme of all MU title with Real Logan returning, post-Legacy, was just another (APPARENTLY purposed) random globetrotting sighting for no rhyme or reason. -the Big Fight this chapter was much better to read. It's good how they focussed on one Avengers with significant poser panels of the other match ups. Either the Avengers pawned or the Black Order jobbed but it's good to see Earth's Mightiest score a win finally.